It’s the Year of the Pig and whether you’re queuing up for crisp notes, shopping for new clothes or even KonMari-ing your houses, we can all agree that we’re all just as excited to ring in the festive occasion. Besides receiving loads of ang paos, indulging in mouth-watering delicacies, and spending time with your loved ones — the one thing that’s getting us all hyped is the plethora of makeup collections that are being released in commemoration of the Lunar New Year. In this article, we’ve rounded up an assortment of lipsticks, skincare and more beauty products, inspired by the Year of the Pig, for you to get your hands on so you can look like a 10/10 while you’re out visiting. The Year of The Pig will officially begin on 5th February but brands have already started rolling out a ton of their own collections inspired by the farm animal. 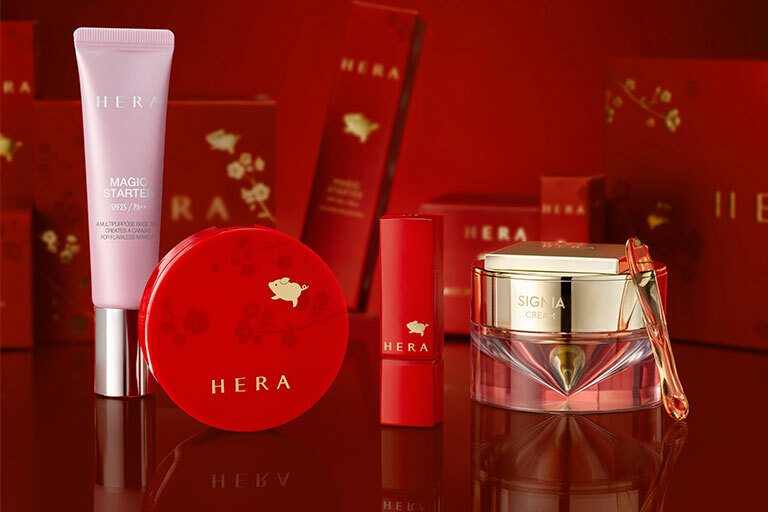 Take a cue from HERA’s latest CNY range — that also comes with an Age Reverse Cushion — a great go-to product if you’re looking for something protects and conceals any signs of ageing. The collection also includes — a Magic Starter cream that helps in improving dull skin, a Rouge Holic Shine lipstick (that comes in 2 shades: One Perfect Red and Secret Burgundy) to dress your pouts with, and a Signia Cream that improves your overall complexion while giving the skin elasticity! CHANEL Beauty Asia-Exclusive Rouge Allure N°8 Lipstick, $54. We all know that you can’t go wrong with a red lippie, especially if it’s one that’s from CHANEL Beauty. If you’re looking for a true classic, enter Rouge Allure Lipstick in No.8. 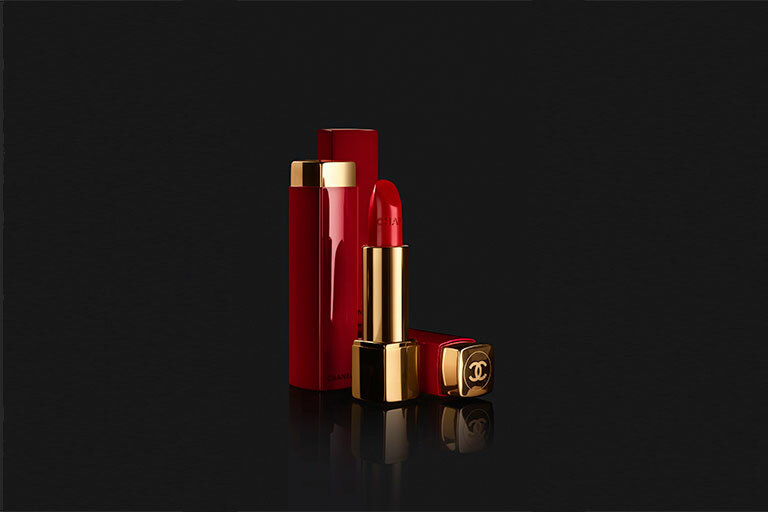 The lipstick glides on seamlessly on the lips and dresses your pout in the prettiest red hue that speaks volumes. Who doesn’t want to make a statement? YSL Beauté Touche Éclat Le Cushion, $92. Available at all YSL counters and TANGS. 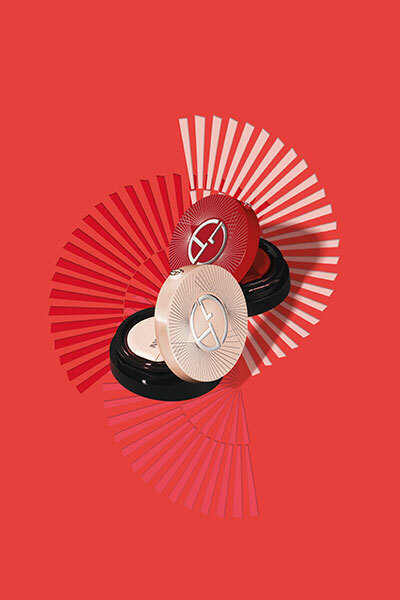 This glorious oriental-themed compact by YSL Beauté just dropped — and, truly, it’s a beauty in its own form. Inspired by the style and dynasty of the ancient Chinese legend, YSL Beauté presents its highly coveted Touche Éclat Le Cushion in a limited edition imperial blue engraved case engraved with an intricate dragon’s scale pattern. So, so, so sleek! M.A.C Lucky Red Collection (L–R): Lucky Red Lipstick ($33), Powder/Blush Brush (68), Powder Blush Duo ($68). Available at all M.A.C. stores. M.A.C is bringing some serious game this year ’round with its Lucky Red Collection — and we can’t help but love every single one of them! The collection features an array of beauty must-haves for you to add to your ever-growing stockpile of makeup you have at home. Dust on the Powder Blush Duo on your cheeks for a rosy flush with M.A.C’s very own Powder/Blush Brush and add a pop of colour to your lips with their Lucky Red Lipstick for a look that’ll steal the show at every gathering you go to! Benefit Cosmetics You’re A Lucky Star – Happiness (Limited Edition), $54. Available at Sephora. Nothing screams The Year of the Pig than a Piggy Bank adorned in an auspicious red box like this number by Benefit Cosmetics. Stocked with some of the brand’s bestsellers, the set features all your basic tools for you to get dolled up this Chinese New Year! Brows, lashes and lips? Check, check, and check! 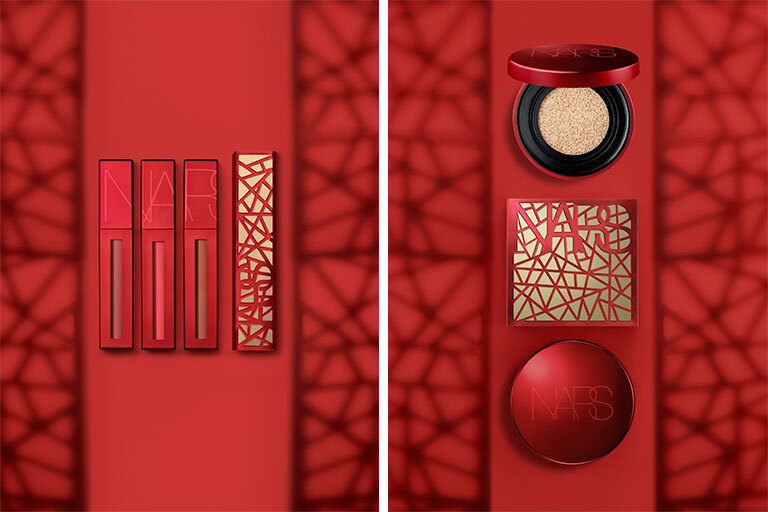 NARS Lunar New Year Collection (L–R): Powermatte Lip Pigment Limited Edition ($40), Aqua Glow Cushion Foundation Compact Case Limited Edition ($20)(Refill; $52 sold seperately). Available at all NARS counters. 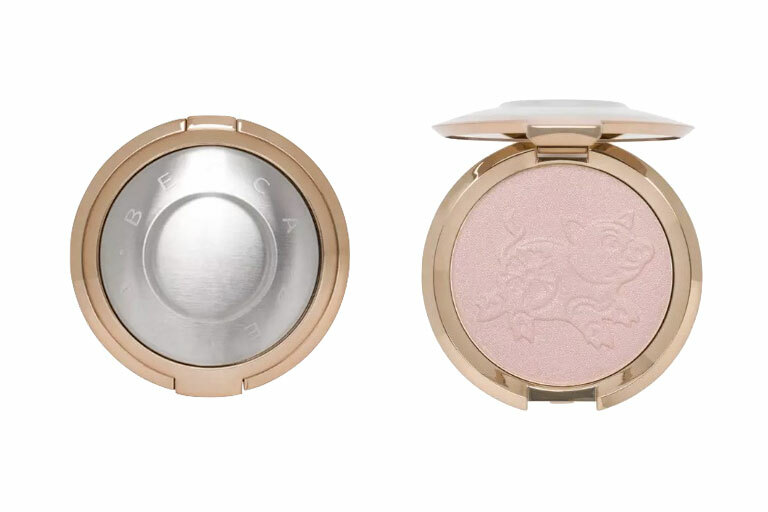 BECCA Shimmering Skin Perfector™ Pressed Highlighter — Year of the Pig (Limited Edition), $58. Available at Sephora. Fancy something that isn’t red, yet festive? BECCA Cosmetics just launched their new Shimmering Skin Perfector Pressed Highlighter and it sports a pig graphic imprint on the palette itself! shu uemura RD163, $38. Available at shu uemura stores and TANGS. Rule No. 1: No outfit is ever complete without a bold lip. If you’re still on the hunt for a good lipstick that doesn’t crack or feather, look no further. 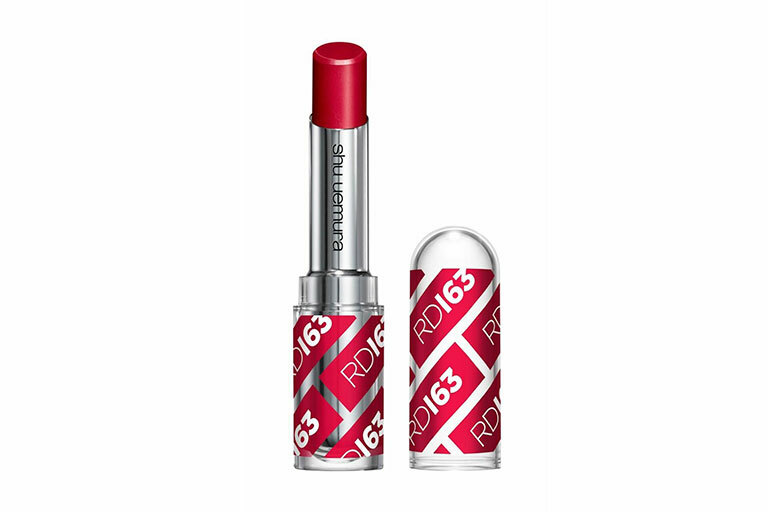 shu uemura’s latest RD163 is formulated especially for Asian women and what can we say — it’s suitable for ALL skin tones. No doubt about that! The lipstick goes on smoothly on the lips and dries off nicely for kissable lips that’ll last all day long! Not to mention, it also comes in matte, satin and lacquer textures for you to choose from for any occasion. Lancôme Advanced Génefique Serum ($130), Absolue Cushion ($140) and L’Absolu Rouge lipstick ($49). Available at all Lancôme counters. Want glowy, dewy skin? 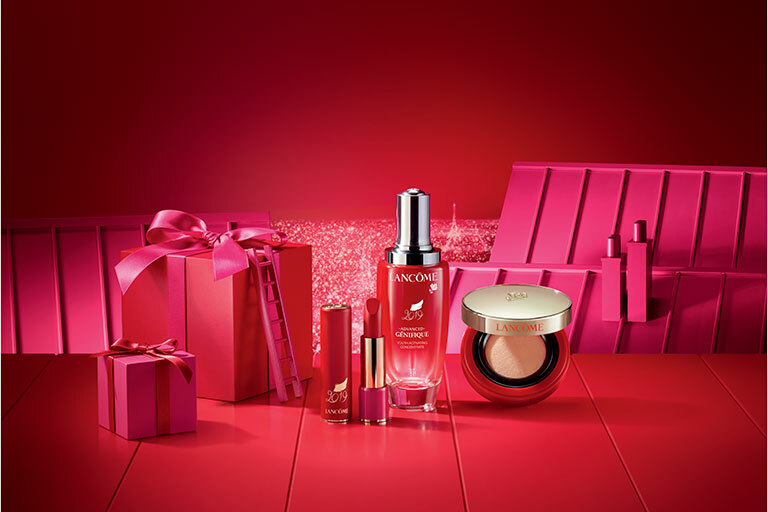 Lancome just released their own CNY Limited Edition collection which features its Advanced Génefique Serum, Absolue Cushion and L’Absolu Rouge lipstick — all decked out in red and gold accents! Giorgio Armani Beauty Cushion Couture My Armani To Go Essence-In-Foundation Cushion SPF-23 (RED) and My Armani To Go Essence-In-Foundation Tone-Up Cushion SPF-15 (BEIGE), $105 each. Available at Giorgio Armani Beauty counters and TANGS. When you’re out travelling from one place to another, the sweltering heat in Singapore can take its toll on your skin. If your makeup slides off your face by 2pm, you might want to try Giorgio Armani Beauty’s latest Cushion Couture. Inspired by the elegance of the couture fan, the collectable edition comes in two different types of cushion foundations: My Armani To Go Essence-In-Foundation Cushion SPF-23 and My Armani To Go Essence-In-Foundation Tone-Up Cushion SPF-15 — of which both comes encased in two varying colours: red and beige respectively. Etude House Happy Piglet collection. Prices range from $7.90 onwards. Available at all Etude House stores. Fans of Winnie The Pooh (and Piglet), this one’s for you! 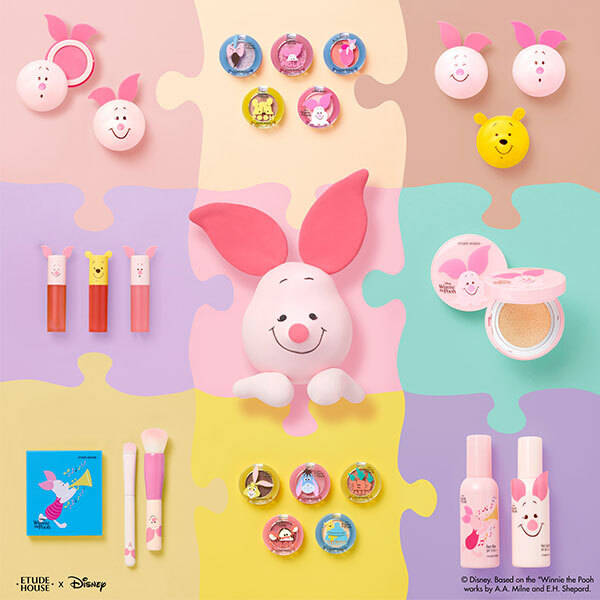 Etude House and Disney have recently teamed up to release the brand’s Happy Piglet collection and it’s literally the cutest thing ever! Choose from blushers, eyeshadows to lip tints and many others — this Happy Piglet collection doesn’t fall short on makeup with the cutest packaging to ring in the New Year. L’Occitane Chinese New Year Limited-Edition Shea Butter Hand Cream, $39. Available at L’Occitane stores. Whether you’re gambling or handing out red packets to your loved ones, you’d want to make sure your hands stay soft and supple throughout the day. 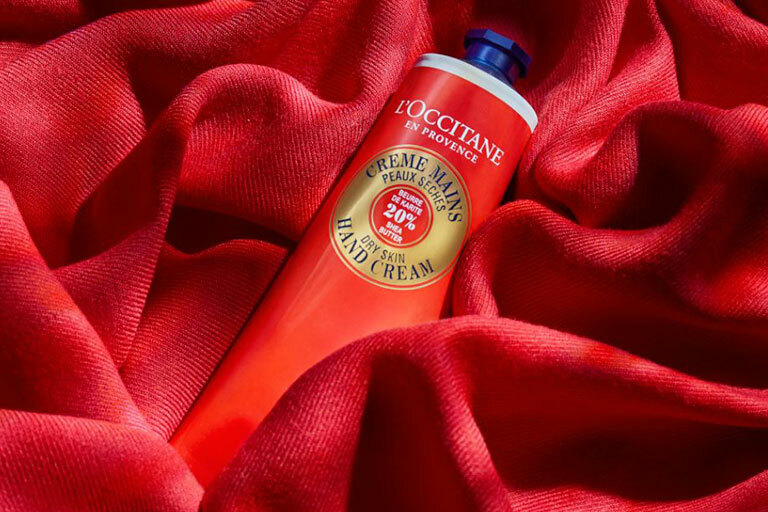 For a quick pick-me-up, try L’Occitane’s iconic Shea Butter Hand Cream. Unlike its original packaging, the brand’s bestselling hand cream receives a whole new makeover, just in time for the Lunar New Year! Undeniably one of the must-have items to tuck in your purse, this cream will definitely come in handy while you’re out visiting. SK-II Lunar New Year Limited Edition Facial Treatment Essence, 230ml, $269. Available at SK-II counters and online. A cult beauty classic and a holy grail must-have for many, SK-II’s bestselling Facial Treatment Essence receives an upgrade with its new fiery red packaging! Not only will this bottle stand out on your vanity table but it’ll also brighten your skin’s complexion. Trust us, if you can’t seem to find the time for any facial treatments before CNY, adding the SK-II Facial Treatment Essence might just suffice. 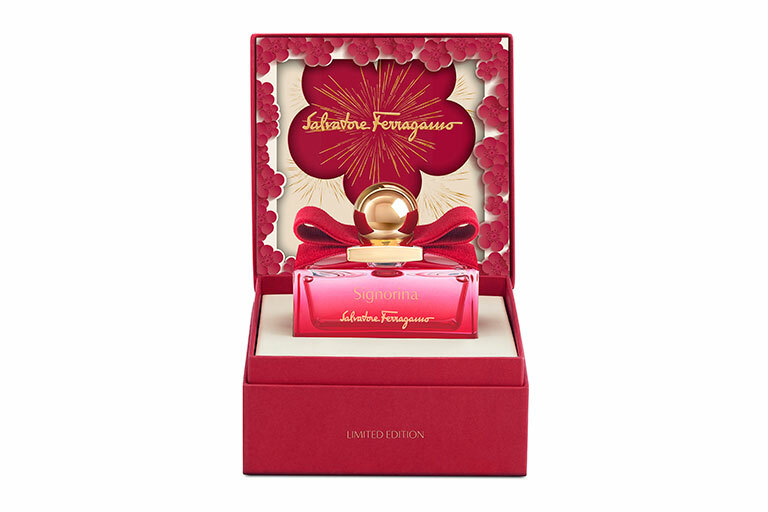 Salvatore Ferragamo Signorina New Year Edition EDP, 50ml, $156. Available at departmental stores. What’s the point of looking good when you can’t smell good? When you’re out visiting, you’ll definitely want to make an impression with every visit. No? Jurlique Activating Water Essence Limited Edition, $93 (left) and Jurlique Rose Body Oil Limited Edition, $96 (right). Available at all Jurlique stores. LANEIGE BB Cushion_Anti-Ageing, $62. Available at all LANEIGE counters. 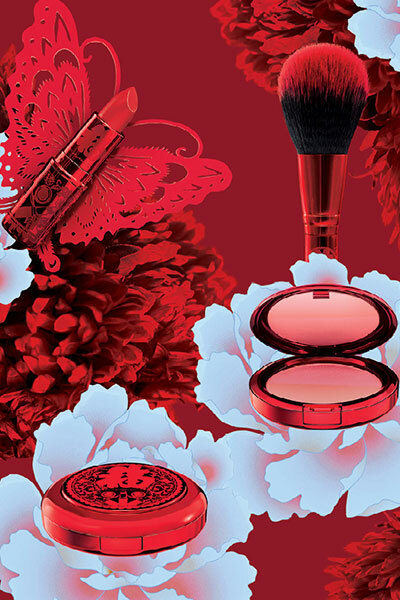 New makeup and skincare products abound LANEIGE’s latest Chinese New Year collection. 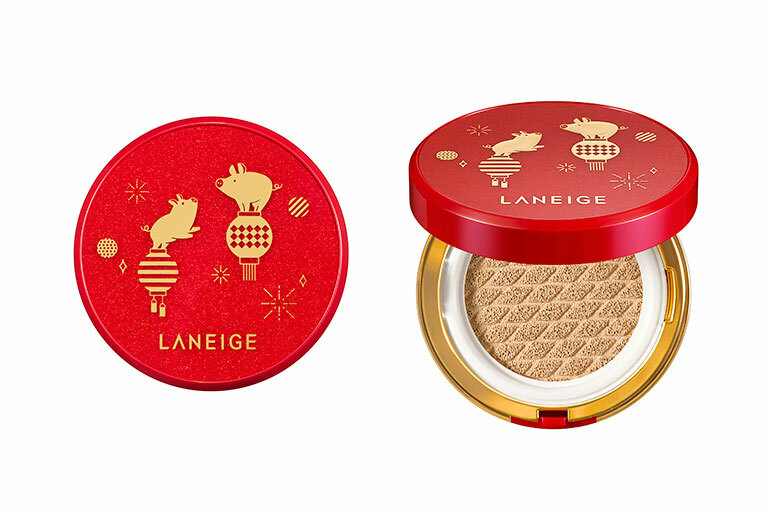 The South Korean beauty brand has relaunched a curated collection of its iconic products, inspired by the Year of the Pig — decked in the auspicious new year colours — red and gold. Also, if you’re striving for healthy, glowing, youthful-looking skin, check out LANEIGE’s Anti-Ageing BB Cushion. Buff it all over your skin for a nice, youthful, bouncy glow for skin that takes 10 years off your age!